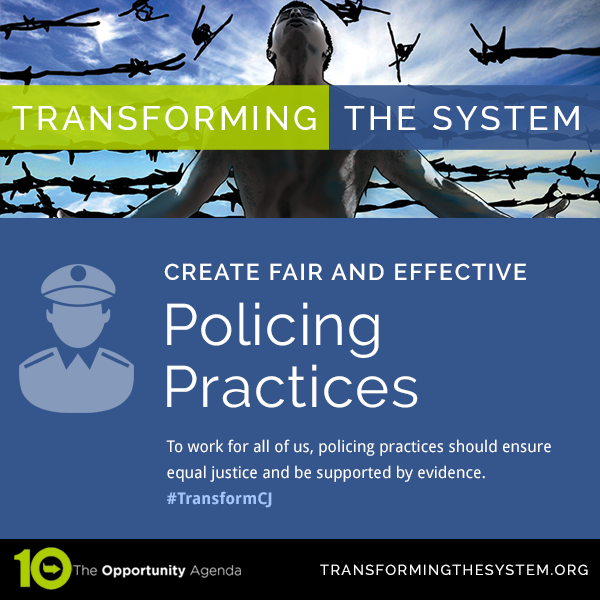 Policing should be fair and consistent with human rights values. Police departments should strive for positive community relationships. Images of militarized police fueled community outrage about abusive police practices and encouraged the perception that police considered the community its “enemy” during public protests. This perception is unhealthy, and police should aim to eliminate the harms of an unnecessarily militarized police force. Police departments should eliminate militarized tactics that decrease their legitimacy in the communities they serve. Furthermore, police practices should explicitly seek to eliminate racial bias and disparate treatment of individuals and communities. There has been substantial research demonstrating that implicit bias infuses all parts of our everyday interactions. Consequently, it is important to critically examine our biases and reduce their impact on our ordinary interactions. This is especially the case for police officers because they maintain close community relationships and must ensure that these relationships are positive for their safety and the safety of the community. There should be regular, thorough training to sensitize police to implicit biases as well as explicit bans on racial profiling in police department policies and manuals. 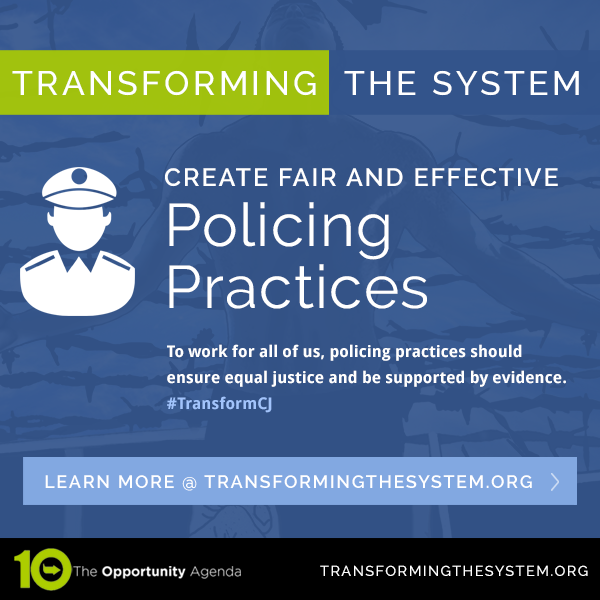 Adopts performance metrics that evaluate police officers based on data that documents demographic information and evaluates officers’ tendency for profiling practices. Our Communications Institute Fellow Philip Atiba Goff has written extensively on implicit bias trainings and working with police department to effectuate reforms. Implement the recommendations of the Law Enforcement Equipment Working Group, including recalling federally-funded military weapons from local police departments. Create a mechanism for investigating complaints and issuing sanctions regarding inappropriate use of equipment and tactics during mass demonstrations. Emphasize the importance of avoiding offensive or harsh language in the field to avoid escalation of minor situations and adopt policies directing officers to speak to individuals with respect.